Once you’re past the hills after Bettyhill it’s a relatively flat route to the finish and you can really pick up some momentum with the adrenaline. 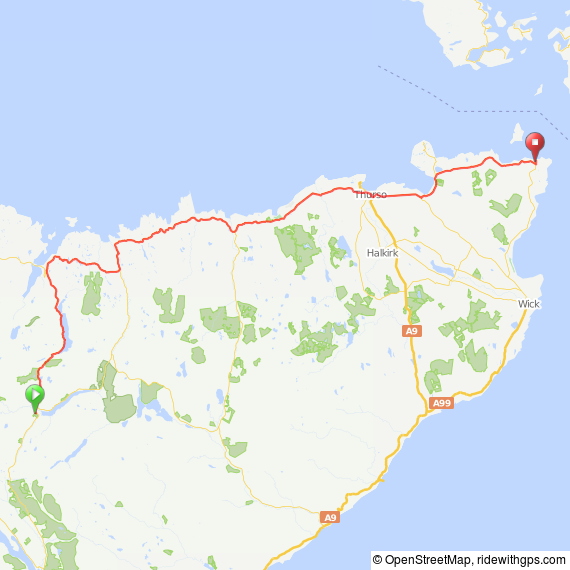 Similar to the route from Glasgow to Fort William, lunch choices get few and far between but I stopped at The Halladale Inn for a brilliant sausage basket (chips with 3 chunky sausages) which definitely fueled me the entire way to the end. John O’Groats is well signed posted and I didn’t use my GPS the whole day.